One of the pillars of our reading community is the daily book talk. While I used to do them once in a while, I was spurred on by the wisdom of Penny Kittle to do one every single day, which I have now fully embraced for the past few years. So in the last few years, I have done a book talk almost every single day right after we finish our independent reading. It takes less than two minutes and is fairly simple. I used to plan them out much more but realized that it added another level of work to my already jam-packed day and that it didn’t seem to make a difference to the students whether I did a pre-scripted one or one that was more spur of the moment. So this is what our book talks look like now. Pick the text you will book talk – note this can be a chapter book, audiobook, a collection of short stories or whatever you feel like blessing as Linda Gambrell reminds us. I like to book talk a variety of new books I have read as well as older books that haven’t been discovered yet. One place I look to for inspiration is what my students have recommended in the past. Decide your angle: Are you book talking it because you read it and it was amazing? Because you abandoned it and need someone to prove you wrong? Because you added it to the library but haven’t read it? Prepare your visual. I like to project the cover of the book so that students can easily write down the tile. I also put any genres abbreviations on the slide and whether or not is a more mature book. 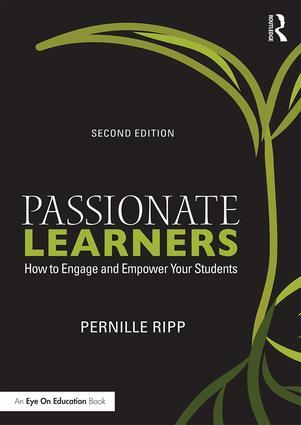 Have the physical book ready to hold up and hand to someone or place on a designated book talk shelf or display. Keep it short and sweet. I tend to say a few sentences about the book and why I liked it/abandoned it/purchased it and then read either the first page, the inside flap or the back cover. I love these teasers as they are already made for us. Have the book ready to hand out. The only time I break this recommendation is when I just finished a book and I want to book talk it to all of my classes. Then I try to find extra copies beforehand, such as from our school library. Students should have their to-be-read list out which is located either in their readers’ notebook or using the Goodreads app. This is a routine expectation we start with the very first week. Start to transfer ownership of the book talks to students fairly early on, you should not be the only one book talking a book. I love using the 30-second book talk idea to help students become more comfortable with the format and also ensure that everyone participates. If I am the one doing the book talk there is only one given, if it is students, then there can be up to three depending on their length. Again, this is short and sweet, not the actual teaching point of the class. If many students want to book talk their book, consider making it the teaching point and dedicate a lesson time for it or have them do a speech about their favorite book. Keep an anchor chart or some sort of visual of which books you have book talked, not only does it provide a reminder to students about the books shared, but it also allows you to ensure that you are providing inclusive book talks that do not just fall under one genre, cultural heritage or some other category. Place book talked book the same place so that students know where to find them. We have a book tree that serves as everyone’s place to recommend books so that is where they go. Check to see if there are book trailers available. I still think the book trailer for The False Prince by Jennifer A. Nielsen has convinced more students to read the book than I ever have, and I love that book. I have loved doing daily book talks and also getting them from students and I now see them as a vital component of any thriving reading community. 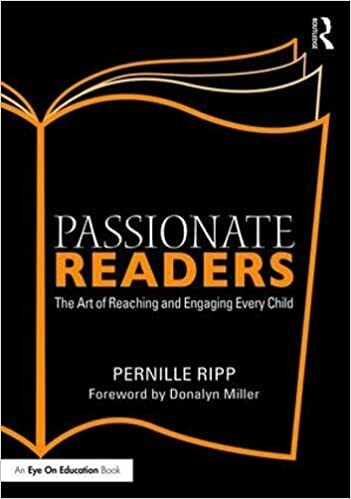 When we book talk a book it is the invitation into a relationship with that book for all of our students, what a powerful teaching tool that is. Another great idea that I have used for several years and stole from Kelly Gallagher is the One Minute Read. Just pick a passage – usually the beginning if it has a great lead- and read it. Stop after 1 minute or at a cliffhanger. Works wonders.